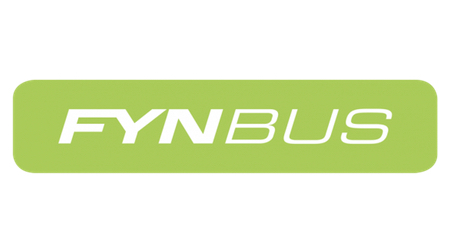 FynBus is planning a bus service for Region Syddanmark and the 9 municipalities in Funen and Langeland. It is the region and the municipalities that own FynBus. The owners decide the framework for how the buses should run. FynBus advises the owners, how the bus service can be planned best and make the roadmaps.The region and municipalities order the routes they wish at FynBus. Passenger revenue covers only a portion of the total cost, and The owner who has ordered a route pays the rest of the expenses. The bus service itself is sent in tender. The contractor who wins a bid, performs the drive with its own buses and drivers. FynBus is chaired by a board consisting of representatives of the owners, i.e. Region of Southern Denmark and the 9 municipalities. The board decides Among other things, what passengers have to pay to drive by buses.In addition to bus services, FynBus also coordinates Flextrafik, as among other things Includes driving for highly impaired, student driving, activity and rehabilitation, seated patient transport, medical care, etc. We are trying to become more market driven by tailoring solutions for specific market segments. By understanding the needs and customizing our services as well as business model accordingly we could increase the usage of buses, implement more demand responsive mobility solutions and improve our bottom line further promoting a greener way of commuting in Denmark. We see a huge potential in a segment that historically been a difficult one to get on board - mid age people commuting to work. We believe that we have not developed adequate service offering for the segment to reach proper product/market fit. 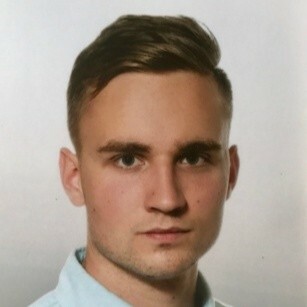 This segment has a unique characteristics that needs to be taken into consideration when tailoring a product and perhaps could be used as a leverage. E.g. It should be easier to reach our selected segment by directly dealing with companies through for example special offerings, CSR policies or tackling some of their challenges like parking lot unavailability. Also large number of companies are clustered in a specific areas of a city. The bigger the penetration in the area the more it makes economic sense to increase the frequency of buses and improve customer experience as a result. All of these angles and spillover effects need to be analysed holistically to find a business model/service offering that resonates well with selected segment. Observe and interview segment to understand key drivers and occasions that makes them use buses. Analyse companies to understand their needs and problems in terms of employees commuting. Develop Business Model and service offering that fits well for the segment and test it out. For this project we are looking at smart group of students or a student with relevant study line in Innovation, entrepreneurship, business management and alike. Previous experience in product development, market research or creation of a business model would be highly advantageous. We expect you to take full responsibility for driving this project from the beginning till the end. Our team will provide a support to answer questions, access to some of the relevant people and our know-how. As you will encounter and interview number of people it would be highly advantageous if you have at least one person in a group speaking Danish. Applications are being reviewed on a continuous basis and could be closed down before the deadline if a right match is found.